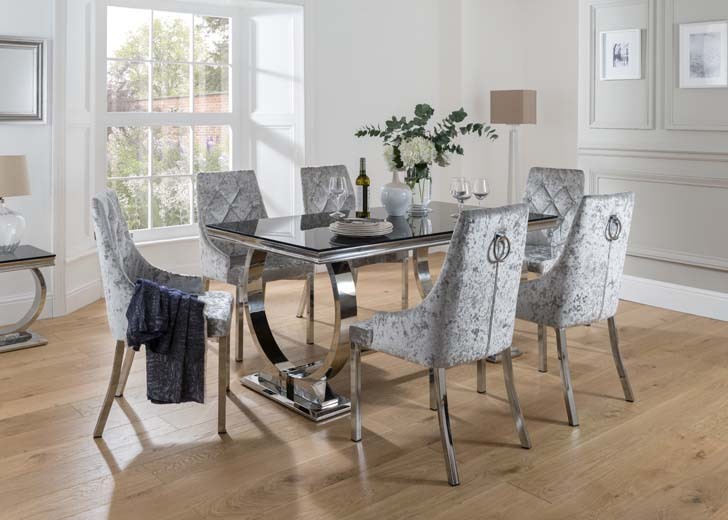 This Glacier dining chair goes perfectly with Glacier dining table, comes in grey-hard wearing vinyl with matching chrome legs. Sheer glamour and a Hollywood style that will be the envy of all. 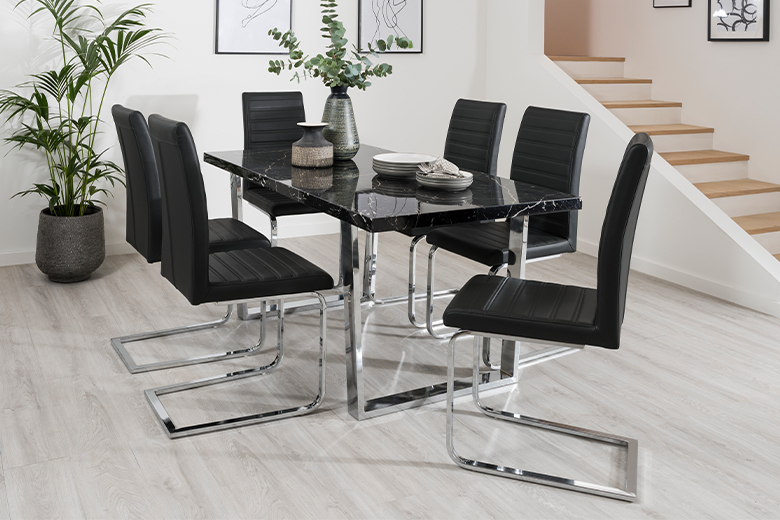 Grey hard-wearing vinyl with matching chrome legs. 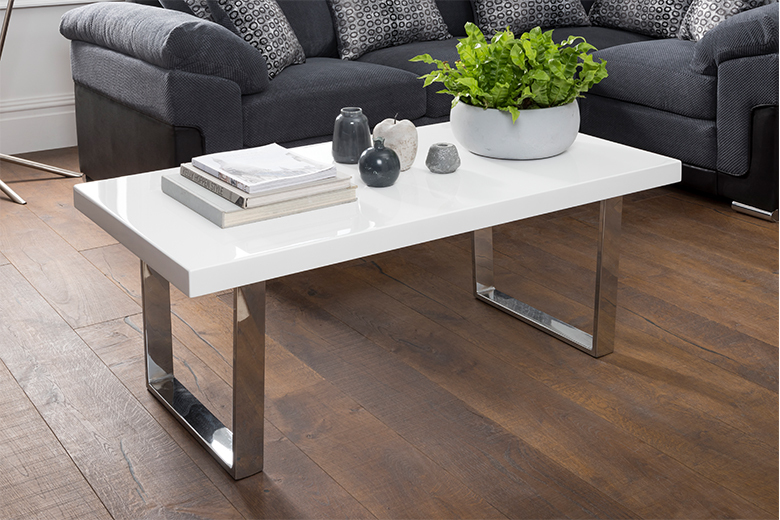 Add the coffee table to maximise the look! 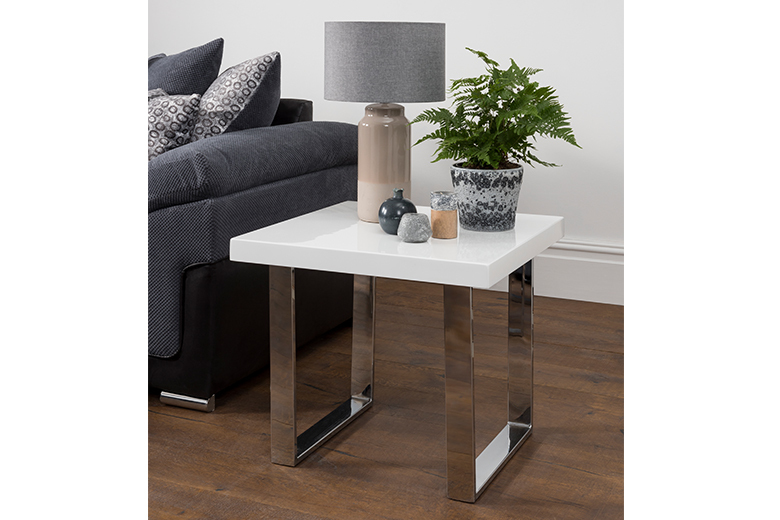 Goes perfectly with Glacier, Noir or Philipe dining tables.